Last week we visited the beautiful town of Schull in Ireland, about an hour and a half from Cork airport. We had never this part of Ireland and really didnt have any plans other than to relax and explore the landscape. What made our trip even more special was that were staying in the truly unique and truly breathtaking Skyros, a modern architectural gem that sits at the foothills of Mount Gabriel, looking out over the coast of Mizen Peninsula. We found them on Unique Home Stays which we have used before with our Cornwall getaway and absolutely love. The house truly is a functional piece of art and the sleek, modern & minimalistic aesthetic truly made you catch your breath as it juxtaposed the timeless beauty and power of the natural surroundings. We flew from Gatwick and the whole thing couldn't of been easier. 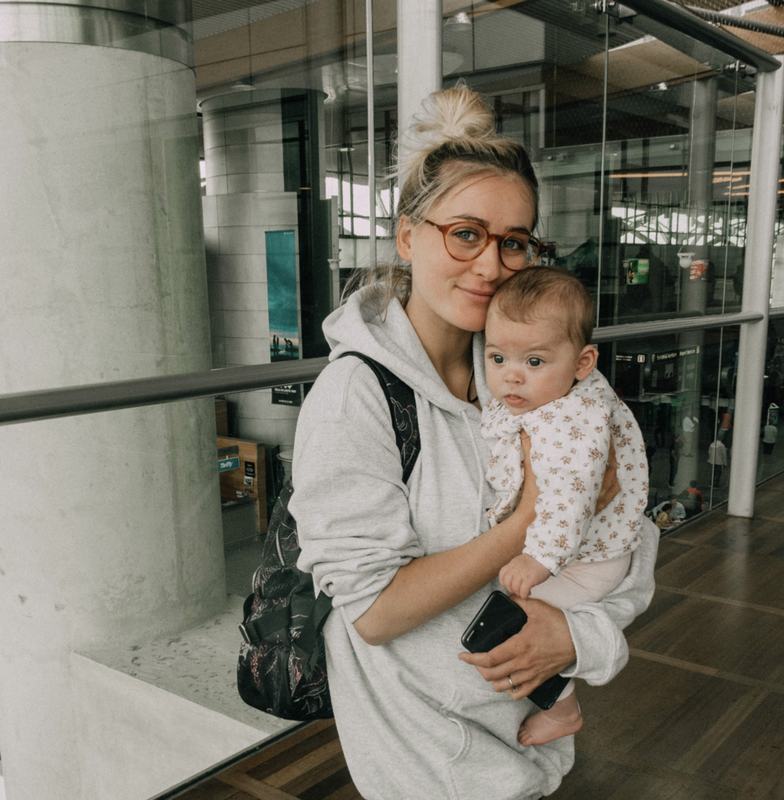 To prove my point, this was our 5 month old baby's first flight and we survived it unscarred and ready to do it again. A return cost us less than £100 which is just amazing and I think total flight time was under one hour and a half. Once we arrived we then had the hour and a half drive to our final destination. This element of travel always leaves me a little nervous, especially when you have to sort our a hire car and navigate difficult roads. Turns out it couldn't of been simpler. It was pretty much exactly the same as driving in England and we got a great deal with Sixt. It's worth mentioning the drive because it was actually a really enjoyable experience as you weaved in and out of the small villages. Unlike other places we've been it felt really authentic and if we'd heard about it before it might of been nice to plan a few stops along the way to experience the local communities. It was also unforgettable to watch the transition from urban to rural, it really felt like the further you drove the more powerful and present nature became. An hour into the drive and you couldn't look out your window without being in wonder. So now onto the house. The truth is, this beautiful accommodation could have been placed anywhere and I would have been blown away. It was a true spectacle. 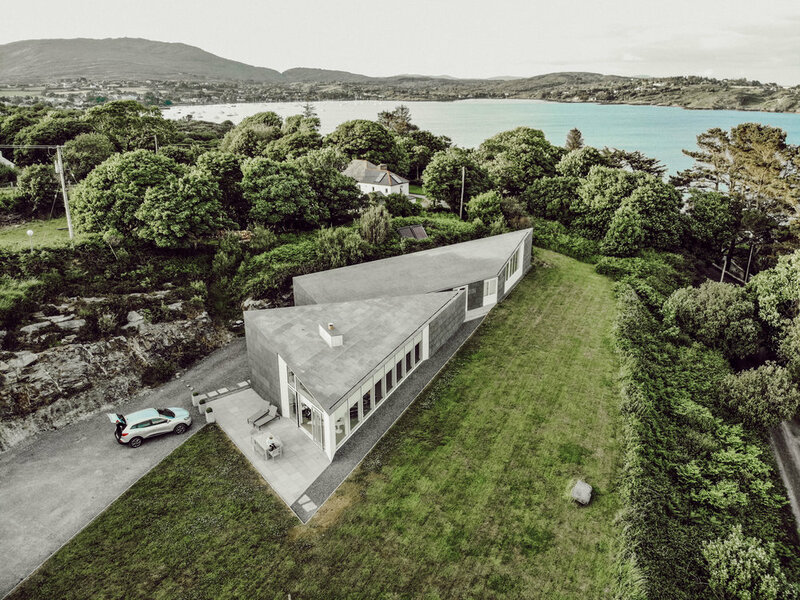 Designed by award-winning architect Niall Mclaughlin, the unique self-catering home in Schull was crafted from poured concrete and clad entirely in Irish Kilkenny Limestone. Floor to ceiling glass allows the landscape to take centre throughout the interior, exhibiting south facing views over Roaringwater Bay and its collection of islands. To say that the house was an experience in itself was a understatement. It simply has to be visited to understand it's power over you. On a more practical level it had all the amenities and everyday essentials you would need. If I am totally frank we could have happily spent the few days just enjoying the house and the immediate surroundings. We really wanted to make the most of of the trip though and so ventured out on the second day on a adventure. We had read online that a short half hour drive away there was a dirt carpark by the sea which was the beginning of a magical walk. Wow were they right. 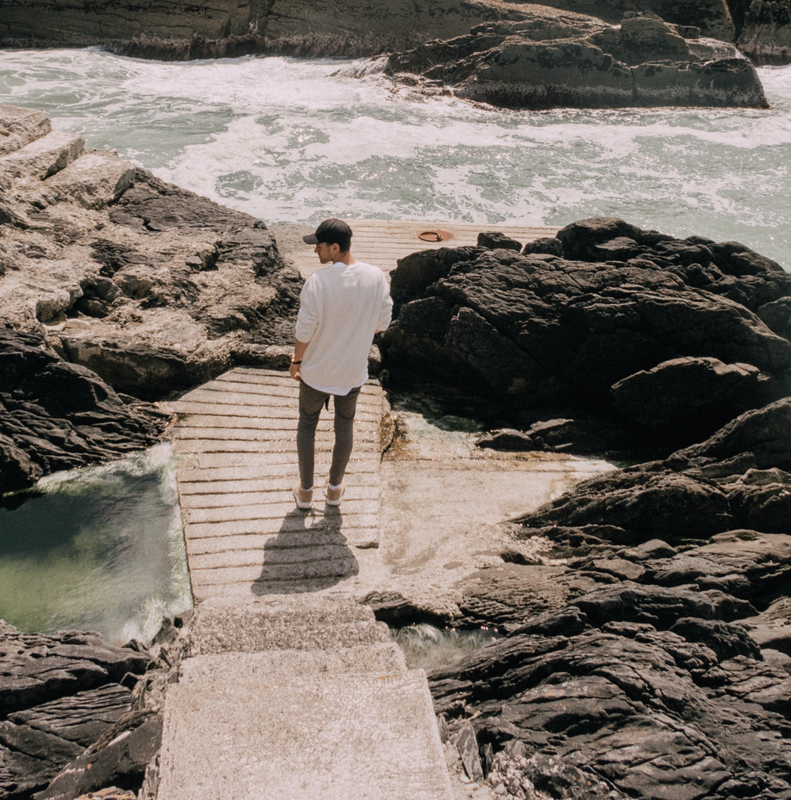 After arriving at the carpark we spent the first half hour exploring the waterfront, crashing waves and carved steps down the rock front left us speechless. We then left up the hill next to the cliffs on route to see Ireland in it's rawest form. Less than half hour later we were walking amoungst the ruins of a castle. I don't think anything i write in this blog can adequently explain the feeling you get as you stumble upon a scene like that, nature in the process of reclaiming what is rightfully hers. It was stunning and something we will always remember. The crazy thing is, this walk we found with a quick google and wasnt even one of the most famous. The whole area is scattered with similar walks and I for one know I will be returning time and time again. So...a few days in paradise. A few days living larger than life. The location was outstanding, the country was welcoming and the accommodation was out of this world. This is definitely a trip of a lifetime and when you can see views that match or surpass those in Australia for less than you'd pay for the train into London, it makes spending a little more on the extras achievable and that much more enjoyable.